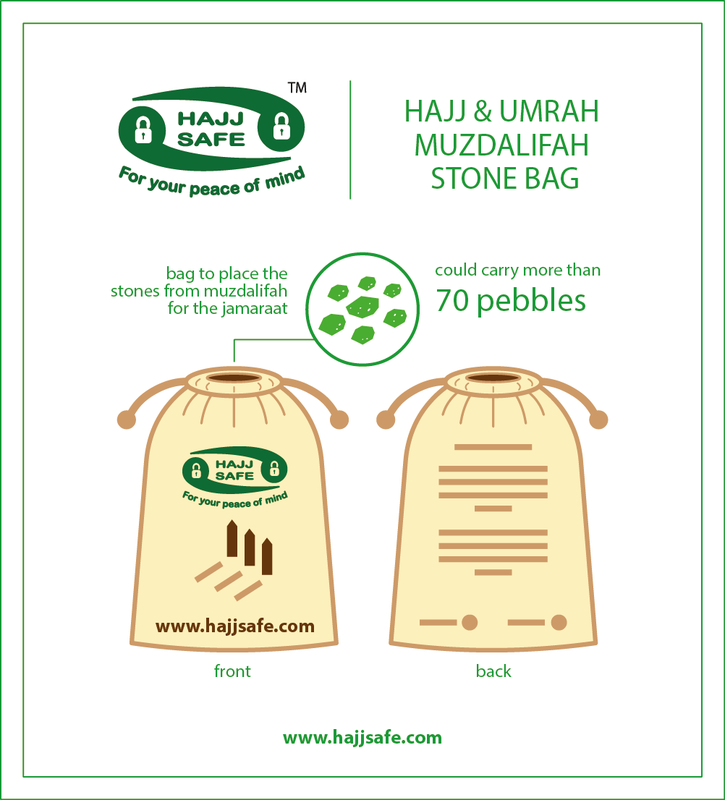 At just £3.99, the Muzdalifah stone bag from Hajj Safe comes in a pack of two. This is such a useful item, as picking up pebbles and carrying them with you to stone the Jamarat is not easy with your bare hands, and it is something which pilgrims often do not think about until they are at that stage of the Hajj. The Muzdalifah stone bags are compact so they will easily slot into your pocket when not being used. They have a handy drawstring to keep the pebbles from falling out, and this can be used a handle for ease of use. In addition, there are instructions on the bag to show how many pebbles are required for each pillar when stoning the Jamarat. A highly recommended and low price product that would make a good gift for someone going on Hajj; it would inshaAllah gain you reward remind them to make dua for you during this special time.